When Aaryn Flynn left Edmonton-based BioWare last year, the former general manager of the Mass Effect studio had a number of career options, but many of them would have involved leaving the Alberta capital he's called home for more than a quarter century. Speaking with GamesIndustry.biz yesterday, Flynn said the impact moving would have on his wife's career and his two children was a factor in his decision to stay put. "I was lucky enough to talk to some folks outside of Edmonton about roles and opportunities, but Edmonton is my home and I really wanted to stay here," Flynn said. "I've got too many friends, too many colleagues, and too much momentum here to think about changing." "It's where I think the industry's moving towards: Larger, more persistent, deeper, more complex simulations of worlds"
Ultimately, he decided to sign on with London-based Improbable, which today announced that Flynn is not only joining its team as general manager of its games business for North America, but will be setting up a new Improbable studio in downtown Edmonton. "As I left BioWare, I spent some time here and found a lot of really talented folks who were flying under the radar, and that gave me a lot of confidence that we could do things in Edmonton," Flynn said, adding, "As much as Edmonton is not a traditional game development hub, there's an opportunity to be a big player in that space and to do really good things with the development community that does exist. Edmonton does have a really rich technology space right now. It's really rich for AI developers and full stack online developers, and we'll be recruiting from those pools as well." 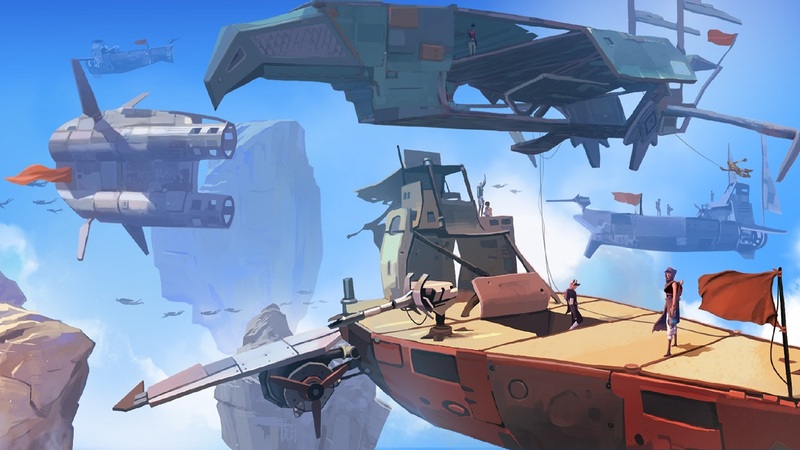 Those skillsets could be particularly useful, as the studio's remit will be to develop tools, technology, and representative game content for Improbable's SpatialOS cloud computing platform. Flynn is particularly impressed by how forward-thinking Improbable has been on this front. "I'm a programmer by training, so I got my hands a little bit dirty in messing around with [SpatialOS] and was impressed with what it could do," Flynn said. "It's where I think the industry's moving towards: Larger, more persistent, deeper, more complex simulations of worlds. I've always wanted to build those kinds of things, and I've always been jealous that I didn't get the chance to do them. So I'm really keen to understand that better, build tools to do that better, and to help others do that, too." Of course, we've been hearing about cloud computing in games for years now. Improbable first revealed its ambitions with SpatialOS in 2015, and Microsoft had been hyping "the power of the cloud" years before that in the lead-up to the Xbox One launch. So why is cloud computing still "the future of gaming" and not the present? "It's a really difficult problem to solve," Flynn said. "I think the landscape you're trying to solve it in is also moving all the time. Collectively, it just represents a really wicked problem that needs a lot of smart people working together to present a solution in the industry that resonates. And I think Spatial is that solution. We've got some work to do with Spatial to really make it sing for other developers, and that's what I want to focus on: tools and representative content to help them understand what's possible. Spatial works right now, but making it easier and more accessible is critical." However, it's not entirely a tech problem. There's also a question of consumer demand for cloud-powered gaming experiences, but it sounds like the answer to that one might present itself if the tech can be perfected first. "Nobody knew they needed battle royale until someone made a battle royale game, right? So I think there's an element of that," Flynn said. "But by the same token, to really make it work for other developers, we've got to make it butter smooth and near perfect. So there's work to do there." "Changing a culture is hard. Starting a culture is in some ways easier, so we just want to start it with those right ingredients so people realize that the future belongs to them and they can do great things here"
Flynn declined to comment on what the studio's size is projected to be once fully staffed, but he did say the company was being ambitious with its plans. Regardless of how big the studio winds up, Flynn understands that the decisions he makes in these early days will go a long way toward shaping its culture down the road. "Changing a culture is hard," Flynn said. "Starting a culture is in some ways easier, so we just want to start it with those right ingredients so people realize that the future belongs to them and they can do great things here." Some of those ingredients will be borrowed from Flynn's time at BioWare. Specifically, he said he liked the idea of empowering developers and giving them freedom to do their job day-to-day within an over-riding framework. "I've come to appreciate the power of a strong vision of what you're trying to accomplish, and using that as a North Star in guiding yourself and making decisions," Flynn said. But he's also adding elements he's seen from his time collaborating with Improbable, specifically a focus on hard work and--perhaps ironically considering the company's name--a belief that they can achieve their goals. "I really like the Improbable culture for that," he said. "They have really good thinking around their vision, and the collaborative spirit of their culture is really inspirational. Those are the two things we're bringing here to the Edmonton office and making sure we have." Clearly, Flynn is sold on Improbable and Edmonton. One question as he builds out the studio will be how he will attract top-flight development talent to a city known for less-than-temperate winter weather. "A big part of my job at BioWare was doing that and I think we did OK there," Flynn said. "But I've come to realize that every community has its ups and downs in terms of attracting people, whether it's weather or earthquakes or whatever it might be. There are always people who are not going to want to move somewhere. "We have opportunities with new grads coming out of our world-class universities, the University of Alberta and the University of Calgary. We have opportunities with folks who want to move to Canada from other countries. And we have folks who have left Alberta or Western Canada and want to move back. So those will be the kinds of folks who I think we'll have a chance to attract and keep here."